Our doctor-supervised weight loss program is built around your goals and gives you unlimited access to our weight loss specialists and cutting-edge medications. 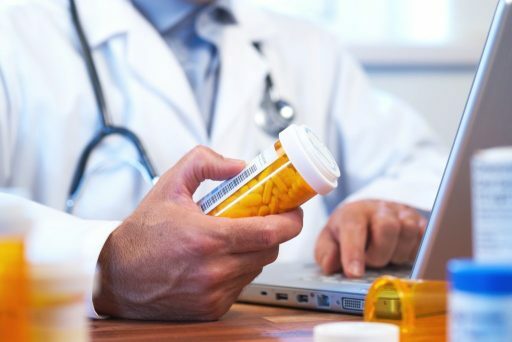 All Prescription medications require a doctor consultation and approval. We do not sell prescriptions directly online. Our medical weight loss doctors specialize in making diet plans that work around your health needs and lifestyle. Our online weight loss programs incorporate cutting-edge medications to help you reach your goals quickly and safely. When you sign up with a Diet Doc program, you'll have access to unlimited free consultations with our medical weight loss doctors. Diet Doc's telemedicine techniques make it easy for you to stay on track wherever you are, so you know you're set up for long-term success. Call us for a free, no-obligation medical weight loss consultation. Our certified medical weight loss doctors will build your weight loss plan based on your health needs and weight loss goals. Our clients typically begin to see rapid weight loss within the first month of their Diet Doc plan. A Diet Doc medical weight loss doctor explains how Diet Doc's medical weight loss programs incorporate long-term weight management strategies to ensure that you continue to overcome your obstacles and achieve your goals. Reach your weight loss goals with cutting-edge medications. Stop fighting cravings, emotional eating, or a slow metabolism - our online weight loss programs incorporate state-of-the-art weight loss medications that fight hunger and re-train your body to manage the obstacles that hold you back. Our weight loss medications are made at an FDA-approved compounding pharmacy in the U.S., and can be delivered to you wherever you are and whenever you need it, so you'll stay on track no matter what. Diet Doc's medically-supervised weight loss programs have helped 100,000 clients transform their lives by helping them regain confidence and happiness. Unlike many traditional weight loss programs, which are slow to deliver results and are full of discouraging setbacks, Diet Doc's personalized medical weight loss programs are designed to help you manage the tough obstacles that keep you from achieving your goals. Find out how our clients have overcome their biggest challenges. Your body is not identical to anyone else's, so why rely on the same diet plan as everyone else? We offer a better option - medical weight loss programs built around you and your life. Diet Doc's telemedicine techniques provide the convenience and personal touch most online weight loss programs lack, and our innovative medical weight loss techniques get you fast results without the hunger. Diet Doc's certified medical weight loss professionals are here to solve your toughest weight loss challenges by conquering the obstacles that are keeping you from losing weight.